It’s being billed as the “world’s largest solar power development,” the joint construction effort started in January by Berkshire Hathaway’s MidAmerican Solar and SunPower Corp. north of downtown Los Angeles in Kern and Los Angeles counties. Officially called the Antelope Valley Solar Projects, the 3,230-acre development in two co-located projects are scheduled to generate 579 megawatts, or enough energy to power 400,000 average California homes or about 2 million people. MidAmerican Solar is a subsidiary of MidAmerican Energy Holdings Co., which is controlled by Berkshire Hathaway. Warren Buffett is the primary investor, chairman and CEO of Berkshire Hathaway. The two companies calculate that the electricity powered by the project will displace an estimated 775,000 tons of carbon dioxide annually, which they say is equal to taking about 3 million cars off the road over the next 20 years. MidAmerican owns the development and SunPower is the designer, engineer and contractor for the construction and will operate and maintain the project. Southern California Edison is the customer that will purchase the power when it is completed by year-end 2015. One of the other big solar power stories of the week, “The Incredible Shrinking Cost of Solar Energy “(http://www.juancole.com/2013/05/incredible-shrinking-projects.html notes that thanks to the “dramatic fall in the cost of solar power generation” solar is at grid parity in many parts of the world, including Germany, Portugal, Italy and Spain, as well in the southwestern U.S. 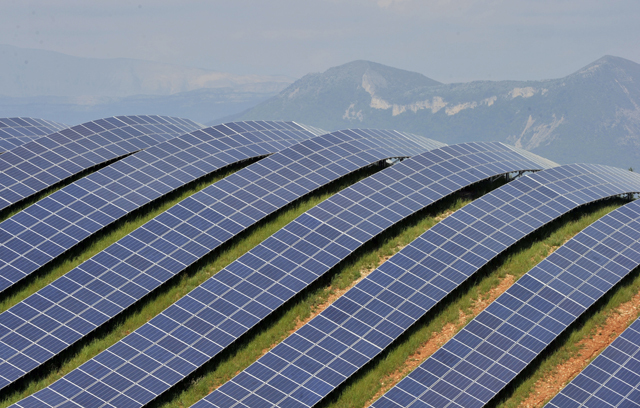 The cost of the best Chinese solar panels fell in cost by 50 percent between 2009-2012. Over the next two years, cost reductions will “slow” to a 30 percent rate. 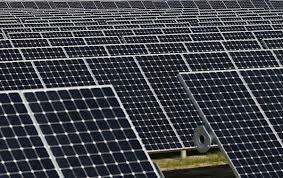 By 2015 solar panels are expected to fall to 42 cents per watt. U.S. solar installations rose 76 percent in 2012. Hybrid plants that include both solar and wind turbines dramatically increase efficiency and help integrate into the electrical grid. Given some of the interesting developments in solar power, how have some of the solar stocks fared in the past few months? San Mateo, CA-based SolarCity Corp. (Nasdaq: SCTY, http://www.solarcity.com/ designs, installs and sells or leases solar energy systems to residential and commercial customers, as well as electric vehicle charging products. It closed March 15 at $16.74 with a market cap of $406.5 million. By April 12 it was trading at $19.97 with a market cap of $1.5 billion. SCTY closed May 8 at $24.16, up 50 cents for the day with a market cap of $1.8 billion. Its 52-week trading range is $9.20-$28.23. Ontario, Canada-based Canadian Solar (Nasdaq: CSIQ, http://www.canadian-solar.com/ ), which sells a variety of solar products, closed back on March 15 at $3.50 with a market cap of $151 million. It closed April 12 at $4.07 with a market cap of $176 million. CSIQ closed May 8 at $5.29, down 17 cents for the day, with a market cap of $228 million. Its 52-week trading range is $1.95-$6.09. San Jose, CA-based SunPower Corp. (Nasdaq: SPWR, http://www.sunpowercorp.com/), which makes a wide variety of solar products and systems and is one of the principals in the Antelope Valley Solar Project, closed back on March 15 at $11.80 with a market cap of $1.4 billion. SPWR closed April 12 at $11.06. It closed May 8 at $15.36, down 6 cents for the day, with a market cap of $1.8 billion. Its 52-week trading range is $3.71-$16.04. China-based Trina Solar Ltd. (NYSE: TSL, http://www.trinasolar.com/) designs, manufactures and sells photovoltaic modules worldwide. Back on March 15, TSL closed at $4.11 with a market cap of $291 million. It closed April 12 at $4.19 with a market cap of $335 million. TSL closed May 8 at $4.72, down 22 cents for the day. Its 52-week trading range is now $2.04-$7.67. China-based Yingli Green Energy Holding Co. (NYSE: YGE, http://www.yinglisolar.com/ makes photovoltaic products including cells, modules and systems. YGE closed back on March 15 at $2.47 with a market cap of $387 million. It closed April 12 at $2.12 with a market cap of $324 million. YGE closed May 8 at $2.20, down 7 cents for the day, with a market cap of $356 million. Its 52-week trading range is $1.25-$3.68. China-based Suntech Power Holdings (NYSE: STP, http://am.suntech-power.com/), the world’s largest producer of solar panels, closed at $0.70 back on March 15 with a market cap of $127 million. It closed May 8 at $0.51, down 7 cents for the day, with a market cap of $92 million. Its 52-week trading range is $0.30-$2.67. St. Peters, MO-based MEMC Electronic Materials (NYSE:WFR, http://www.memc.com/) manufactures and sells silicon wafers and photovoltaic materials. Through SunEdison, it’s a developer of solar energy products. It closed March 15 at $4.53 with a market cap of $1 billion. WFR closed April 12 at $4.76 with a market cap of $1 billion. WFR closed May 8 at $5.33, down 6 cents for the day, with a market cap of $1.2 billion. Its 52-week trading range is $1.44-$5.70. 25 that New York-based ForceField Energy (OTCQQB: FNRG) had signed a letter of intent to acquire a 60 percent interest in 1-800 NY Bulbs. The combination seems to make sense. During its 25 years of existence, Bulbs has more than 8,000 commercial clients, is an authorized dealer and distributor of GE Lighting Products and has projected about $5 million in revenue in 2013, according to the press release announcing the letter of intent. ForceField is focused on renewable energy, energy efficiency and LED (Light Emitting Diode) products. LED lights are the latest in modern technology and energy efficiency, but have been slow to become the standard in households because of their price, according to Time magazine (http://business.time.com/2013/04/25/light-switch-why-youll-start-using-led-bulbs-this-year/). 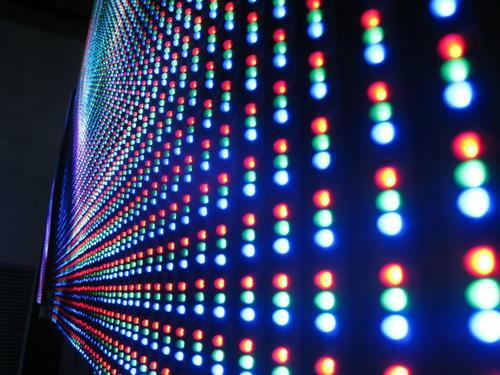 But the Time report suggests LED prices are coming down. Also, the Energy Independence and Security Act, passed in 2007, requires lightbulbs to become more energy efficient and has led to the phasing out of standard 100-watt and 75-watt incandescent bulbs, with the 60-watt and 40-watt bulbs to follow. So the day of the LED light could be near, as could be an intriguing jolt of energy to small cap lighting companies. FNRG (http://www.forcefieldenergy.com) is a lightly-traded, $87 million market cap, pink sheet company with a 52-week trading range of $2.20-$5.64. It is also involved in transforming waste heat from manufacturing and other sources into electricity. It owns 51 percent of TransPacific Energy Inc. FNRG closed April 26 at $5.35, no change for the day. Charlotte, NC-based Revolution Lighting Technologies (Nasdaq: RVLT, (http://www.nexxuslighting.com/) designs, manufactures and sells commercial grade LED replacement light bulbs and LED-based signage under the Array Lighting and Lumificient brands (Lumificient Corporation is a subsidiary). It was formerly called Nexxus Lighting and operates mainly in the global commercial, hospitality, institutional, retail and sign markets. RVLT closed April 29 at a 52-week high of $4.01, up 45 cents for the day with a market cap of $140 million. Its 52-week trading range is $0.11-$4.01. Cincinnati-based LSI Industries (Nasdaq: LYTS, http://www.lsi-industries.com/) is a different take on an LED lighting company. LYTS creates LED video screens and LED specialty lighting for sports stadiums and arenas, digital billboards and entertainment companies. Its 52-week trading range is $5.81-$7.77. It closed April 29 at $7.09, up 18 cents for the day, with a market cap of $170 million. Solon, OH-based Energy Focus Inc (OTC Pink: EFOI, http://www.energyfocusinc.com/) makes LED lighting products as well as products based fiber optic and other energy-efficient technologies. EFOI focuses on the government and public sector markets, as well as the general commercial and pool markets. Its 52-week trading range is $0.16-$0.40. It closed April 29 at $0.22, up 3 cents for the day, with a market cap of $8.4 million. Is Outlook Sunny for Solar Stocks in 2013? The big news for the solar industry this week came in a report from the Solar Energy Industries Association noting that “solar panel installations in the U.S. surged 76 percent in 2012.” That number was driven largely by growth in residential and commercial projects, and a boom in “larger, utility scale (solar) plants,” according to Investor’s Business Daily (http://news.investors.com/technology/031413-648050-solar-installations-up-but-forecast-slowing.htm?ven=yahoocp,yahoo). Certainly investors could have done a lot worse than bet on solar stocks (particularly SPWR) since the beginning of 2013. While many have seen prices dip from highs in early February and March, a look at recent returns over the past six months shows that those who have been riding the solar wave since then have generally had a good run, although it seems to be easing up in recent weeks. The question is now, will it continue through 2013? San Mateo, CA-based SolarCity Corp. (Nasdaq: SCTY, http://www.solarcity.com) designs, installs and sells or leases solar energy systems to residential and commercial customers, as well as electric vehicle charging products. Back on Dec. 20, 2012, SCTY was trading for $10.67 and its run started from there. By March 6, 2013 SCTY was nearly $20. It closed March 15 at $16.74, up 14 cents for the day, with a market cap of $406.5 million. Its 52-week trading range is $9.20-$20.38. Tempe, AZ-based First Solar (Nasdaq: FSLR, http://www.firstsolar.com/), which specializes in thin-film solar modules, is not a small cap as we define it but we include it for comparison purposes. Back in late September FSLR was trading for about $20 and was as high as $36.13 in February before it fell. It closed March 15 at $26.61, down 65 cents, with a market cap of $2.2 billion. Its 52-week trading range is $11.43-$36.98. Ontario, Canada-based Canadian Solar (Nasdaq: CSIQ, http://www.canadian-solar.com/ ), which sells a variety of solar products, closed back in late September 25 at about $3 with a market cap of $130 million. It got above $5 by mid-February and then dipped like many of the others. It closed on March 15 at $3.50, down 3 cents for the day, with a market cap of $151 million. Its 52-week trading range is $1.95-$5.15. San Jose, CA-based SunPower Corp. (Nasdaq: SPWR, http://www.sunpowercorp.com/), which makes a wide variety of solar products and systems, closed back on Sept. 25 at $4.60 with a market cap of $547 million. SPWR closed March 15 at $11.80, down 24 cents for the day, with a market cap of $1.4 billion. Its 52-week trading range is $3.71-$13.88. China-based Trina Solar Ltd. (NYSE: TSL, http://www.trinasolar.com/) designs, manufactures and sells photovoltaic modules worldwide. Back in mid-December, TSL was trading for about $3.95, ran up to $5.81 in early January, but has tumbled since. It closed March 15 at $4.11, up 1 cent for the day, with a market cap of $291 million. Its 52-week trading range is $2.04-$8.68. China-based Yingli Green Energy Holding Co. (NYSE: YGE, http://www.yinglisolar.com/) makes photovoltaic products including cells, modules and systems. YGE closed back on Dec. 21 at $2.18, then ran up to $3.49 by mid-February, but it, too has been dropping since then. It closed March 15 at $2.47, up 7 cents for the day. Its market cap is now $387 million and 52-week trading range is $1.25-$4.60. China-based Suntech Power Holdings (NYSE: STP, http://am.suntech-power.com), the world’s largest producer of solar panels, closed at $0.92 back on Sept. 25, 2012, and then rose to $1.87 in early January, but has been falling since. STP closed March 15 at $0.70, up 3 cents for the day, with a market cap of $127 million. Its 52-week trading range is $0.41-$3.68. St. Peters, MO-based MEMC Electronic Materials (NYSE:WFR, http://www.memc.com) manufactures and sells silicon wafers and photovoltaic materials. Through SunEdison, it’s a developer of solar energy products. In early November, WFR was trading as low as $2.18 and then hit a recent high of $5.66 in mid-February. It closed March 15 at $4.53, down 24 cents for the day, with a market cap of $1 billion. Its 52-week trading range is $1.44-$5.70. China’s economy is recovering, according to media reports, and with it comes a significant increase in its demand for oil. According to Platts, China’s oil demand reached record highs in December, suggesting that demand for 2013 will also spike. percent in the fourth quarter of 2012 after bottoming out in the third quarter. Along with that recovery, China’s oil demand rose 7.7 percent year on year in December, or an average of 10.58 million barrels per day, the highest on record. 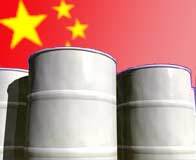 Oil demand “was boosted by record refinery throughput.”For the entire year 2012, oil demand in China averaged 9.68 million barrels per day, a 3.4 percent increase over 2011. If the government continues its stimulus measures and the economy continues to improve, “growth this year could surpass” these figures, the Platt report noted. Houston-based Flotek Industries (NYSE: FTK, http://www.flotekind.com/), a company that develops and supplies a portfolio of drilling and production related products and services to the energy and mining industries worldwide, closed back on Aug 1 at $9.71 with a market cap of $480 million. When we checked a little over a month later on Sept. 11 it closed at $12 and its market cap was $596 million. On Jan. 24, FTK closed at $13.44, down 8 cents for the day. Its 52-week trading range is now $8.46-$14.73. Norwalk, CT-based Bolt Technology Corp. (Nasdaq: BOLT, http://www.bolt-technology.com/) operates in the offshore drilling segment. It manufactures and sells marine seismic data acquisition equipment and underwater robotic vehicles. In January 2011 Bolt purchased SeaBotix Inc. BOLT closed Aug. 1 at $14.45 and Sept. 11 at $14.90, with a market cap of $126 million. BOLT closed Jan. 24 at $15.43, up 3 cents for the day. Its 52-week trading range is now $11.65-$16.09. Houston-based Tesco Corporation (Nasdaq: TESO, http://www.tescocorp.com/) operates in four divisions serving drilling contractors and the oil and natural gas industry: Top Drives, Tubular Services, Casing Drilling and Reseach and Engineering. In October 2011 Tesco purchased Premiere Casing Services-Egypt SAE. Back on Aug. 1, TESO closed at $11.31. By Sept. 11 it had dropped to $10.39. On Jan. 24, TESO closed at $11.86, down 16 cents for the day. Its 52-week trading range is now $8.70-$16.88. The Woodlands, TX-based Newpark Resources Inc. (NYSE: NR, http://www.newpark.com/) provides products mainly to the oil and gas exploration industry. It operates in three segments: Fluid Systems and Engineering, Mats and Integrated Services, and Environmental Services. In April 2011 it acquired the drilling fluids and engineering services business from Rheochem PLC. Back on Aug. 1 it closed at $6.68 and by Sept. 11 it was up to $7.67. On Jan. 24 it closed at $8.35, up 2 cents for the day. Its market cap is now $725 million and it 52-week trading range is now $5.19-$9.82. The Woodlands, TX-based TETRA Technologies (NYSE: TTI, http://www.tetratec.com/) has five different business segments including oil and gas exploration, a products and services segment serving the oil and gas industry, and production testing. Since March 2012 TTI has made three acquisitions. TTI closed Jan. 24 at $8.55, up 3 cents for the day. Its market cap is now $668 million. Its 52-week trading range is $5.35-$10.66. Houston-based Cal Dive International (NYSE: DVR, http://www.caldive.com/) is a marine contractor specializing in platform installation and salvage services, pipe inlay and burial for a diverse customer base in the oil and natural gas industry. DVR owns a fleet of 29 vessels and barges. It closed Jan. 24 at $1.74, up 5 cents for the day. Its market cap is now $169 million and its 52-week trading range is $1-$4. Mary Lisanti is president and portfolio manager of AH Lisanti, an investment management company currently focused on small cap growth companies. She is a 33-year veteran of small cap growth research and investing. For the first 12 years she was a small cap analyst and strategist on Wall Street. During the past 18 years, she has managed small cap portfolios at premier asset management companies. As CIO of ING Investments LLC, (1998-2003) she was responsible for building the active equity management team, and assets under management in her area grew from several hundred million to several billion dollars. Prior to ING, Mary was at Strong Capital Management as Senior Portfolio Manager for both the Small Cap Growth and Mid Cap Growth Strategies and was Managing Director and Head of the Small/Mid Cap team at Bankers Trust Company. Mary was named Fund Manager of the Year in 1996 by Barron’s. She was named #1 small cap analyst in 1989 by Institutional Investor’s All-Star Research Team. In addition, she was ranked #2 and #3 in 1987 and 1986 respectively. I had the pleasure of talking to Mary just before the New Year’s holiday at her office near Rockefeller Center. We had first met in the late 1980s when she was interested in a technology company that proposed the radical idea of a keyless car ignition or computer security system using a fingerprint. Interesting how what seemed futuristic now seems almost as old hat as, well, men on the moon. JA: How are you feeling about the year ahead? ML: Undecided. I’ll give you some positives and some negatives. One big positive is that corporate profit growth will still be decent. Corporations are at very high profit margins, but when you break down what’s going on, there’s no reason they shouldn’t go higher. Virtualization – the use of cloud computing, and other aspects of today’s high tech should help them cut costs. For that trend to stop, two things would have to happen: a long period of negative revenue growth, accompanied by fast-rising wages. Neither of those things is happening. That will be a positive for the market. Corporate profits are growing 8-10% and we believe that can continue, and that is widely dispersed across the board. Small caps can grow even more,we believe, although again there will be wide dispersion in individual results. This will be a classic stockpicker’s market. The biggest negative for the market is that we cannot seem to govern ourselves. That weighs on multiples. That’s why, four years into this recovery, multiples are still low, particularly when you take into account where interest rates are and how GDP growth, although below trend, continues to chug along at 2% or so. In that scenario, logic would have it that multiples would be in the range of 18-19, but they are not. Why not? I believe it is because of our inability to govern. Politicans are behind the curve;as they usually are, in addressing our structural issues to bring the long term deficit issues under control. Will they address the longterm issues or not? If they do so now, it will require only modest changes to entitlements and spending. The extent to which we address those issues will affect the performance of the market going forward. It is psychologically important to multiples: if you can slow the growth in spending at least a bit, you give people more confidence. In the Clinton years they managed to slow the rate of growth in spending, and Clinton left office with a surplus. I believe we will spend most of 2013 arguing about entitlements and other budget issues. Next year it will be the Democrats saying no to entitlement reform, just like this year it was Republicans saying no to taxes. I don’t know how much it is possible to get done, because it is being done in a fishbowl and from ideological positions that don’t accommodate compromise. If they do not get something done, I fear that US debt will get downgraded again. JA: And would any of the DC politicians feel responsible if that happened? ML: I do not believe so, no. Politicians, in my opinion, are in the business of passing the blame. If there were another downgrade, it would affect President Obama’s legacy, and I don’t think he wants to be the president who oversaw two debt downgrades in his time in office. Both sides will have an incentive to compromise and hopefully they will. The biggest risk to all of us, and to the market, is that the dollar loses a bit of its luster as the currency of last resort. When you look at Japan and China and Europe, they are getting their act together with regard to being attractive places to invest and could even potentially be attractive as reserve currencies in a few years. My biggest concern is that we permanently change corporate behavior: if you have a climate of uncertainty for long enough you make people afraid. Business overall has been clear with Washington that the uncertainty is damaging. R&D tax credits, farm and agriculture bills, accelerated depreciation – Congress has been handling these as though they were annual issues, and they’re not. They affect multi-year planning. When the R&D tax credit was put in place in the early 1980’s, it was in place for 4.5 years. That would be better—it would give businesses the ability to plan longer term.. These and other things are casualties of this ideological warfare in Washington. JA: What do you see as strengths in 2013? ML: It is an enormous positive that housing is recovering, and the recovery should continue, assuming Washington does not cut the mortgage deduction.. Unemployment is declining, although it is declining too slowly. And we have cheap sources of energy. . A number of industry sources believe that we will be energy independent in the next decade or so, which is a huge positive for our manufacturing competitiveness. When you look at these things, once we make it through this budget and debt-ceiling problem, things look a lot better. Governments all over the world have been spending money to fix the problems that caused the recession, and odds are that things will not fall apart again soon. Over the past several years, we have had a major issue every year that has “terrified” us: last year it was the potential breakup of the Euro and Greek debt default, and this year it was the budget crisis in the U.S. Beyond the budget crisis, I do not see an issue that has the potential to scare investors as much as these two issues have. We should enter a period of more “normalcy,” where macro issues take a backseat to fundamental issues, and that change should allow multiples to increase. But belief in a more stable future will come slowly. JA: What should we look for in 2013 when we look at investments? ML: As small cap growth investors, we look for earnings growth. But one of the great positives in this market is that there are many ways to make money in the market. When I came into the business in the late 1970s, you could make get 7-8% returns several ways. You could make money with yields –- those companies with no earnings growth offered very high dividend yields, say about 7%; those companies with earnings growth offered more modest dividends, say 2-4% dividends and 4-5% annual growth in earnings. Growth stocks offered very little in the way of dividends, but you could get capital appreciation as earnings would increase 10% to 15%.annually. Then, as we moved through the great bull market of the 1980’s and 1990’s, we got to the point where dividends were out of favor and capital appreciation was the only way to make money.. Now dividends are back and once again there are multiple ways to make decent returns in the stock market, depending upon one’s tolerance for risk..That is very, very positive for the equity markets. JA: How about sectors? Any of special interest, or any you would avoid? ML: There are good companies in every sector. I would not recommend the utilities, but there are very good opportunities in materials, energy, consumer products and services, industrials and financial services, In most of these the small caps usually have something unique about the way they do it, or the technology they apply to it. Tech spending is not forecast to be up much in 2013. There will be winners and losers. We need to keep in mind that the corporate world is moving toward Software as a Service, which allows them to stop buying perpetual licenses, and to pay as they use software. They are going from buying licenses and maintenance contracts, and now are basically paying just for what they use. Same with cloud computing. So they are going from spending $20,000 on software and a server to paying $1,000 month. So even though tech spending is forecast to be close to flat, the companies that will be winners will have SaaS and cloud computing. These trends will hold down spending. It’s hard to see how the semiconductor companies are going to prosper in that environment, unless it is the specialty chipmakers who are specialized in populating ever-smaller chips with ever-larger amounts of circuitry for tablets and smart phones – or those companies that are specialized in the ability to manage the signals for those tablets and phones. But other than those two, I don’t see a lot of growth there. And I would be careful about traditional license-oriented software companies. .
JA: What about healthcare companies? ML: Interesting. It’s hard to guess how ObamaCare will play out. There are some longterm secular trends in healthcare that are worth keeping in mind. Keep your eye on the value proposition: better, faster, cheaper, more automated. One of the most interesting areas is the second generation biotechs. Think about AIDS, for instance. Over the last 25 years it has become a livable disease – that is, we haven’t cured it, but we can make it possible to live with it, and to do well, not just to survive for a few more months. Now the industry is working to make cancer livable in the same way; there are whole new classes of drugs that enable people to live with cancer, and not to just be blown away by it in a short time. Possibly we are spending the same amount of money making cancer livable as we used to, but now we’re spending it over a longer period, and not all at the end of life. Diabetes monitoring, for instance – the closer we get to continuous glucose monitoring, the better for diagnosis and treatment; One of our investments is Dexcom (DXCM), which has a promising technology for that. All those big diseases are interesting, and medicine is getting its arms around them too. JA: How about healthcare IT? ML: It has historically been mostly about billing and insurance, but now the future is to move on to quality of care. Since we have had health insurance as a society, the focus has been on what you might call “industrial metrics,” such as how many patients you can process. Now the quality of the outcome is more important, and best practices are more important. There will have to be penalties for readmissions of the same patient. Mobile apps for monitoring things like blood pressure, glucose, heart problems and blood gases – these things are going to become standard practice over the next 5 to 10 years. JA: You mentioned the impact of technology on industry. ML: There are lots of new beginnings now, along with outmoding of old things. Software as a service and the use of the cloud – this is the biggest piece of cost to cut. If you can cut your IT costs you have overall better margins, and better processes too. And industrial automation is interesting too. The first generation of automation concentrated on, for instance, lasers to cut steel. Now automobiles are being made with lighter materials, so new lasers are needed, lasers to cut nonsteel materials. Aerospace is an interesting area for this. Two things that are driving aerospace are new materials that lower weight and cost, and a continuing cutback on oil-based materials. There is a bit of a renaissance going on in aerospace. One of our investments is IPG Photonics (IPGP) for the new lasers needed to deal with new lighterweight materials. Another is Polypore International (PPO), which is making the membranes needed for new electric vehicles like the Chevy Volt and the Nissan Leaf. By the end of 2013, they are expected to be supplying membranes for 24 models of cars. That goes back to the fact that fuel efficiency standards by 2025 will be at 54.5 mpg. Another of our investments is Aspen Technology (AZPN), which basically supplies SaaS for factories and plants. If you are a refinery, for instance, you are required by law to take your systems down every so often for maintenance and test for a number of things such as safety and pollution. Doing that manually is difficult; it can be done, but it is hard, and if you are global it is harder. Aspen automates all of that, and they are in a field by themselves basically. ML: The shale revolution will be a big job creator, and the move toward natural gas for vehicles is important. Fleets will be moving to Compressed Natural Gas (CNG), and we believe the infrastructure will be built out for CNG refueling. Federal Express, UPS and the other big fleets will be the drivers. We are interested in Westport Innovations (WPRT) for the CNG engines. And we are watching Clean Energy Fuels Corp (CLNE) for the CNG supply chain, but big oil will be the installer. We also believe solar will become economical to use, with panels on the roofs, for instance, of warehouses, and power being sold back to the grid when it is not needed. Between the increased supply of natural gas, shale energy, coal, oil and renewable, we can get to be energy independent. ML: Housing is fascinating. What happened with housing is what happened with autos. Now after a period of low sales, we probably need as a nation to do some catching up. We could need 1.7 million new housing starts for a couple of years. That would double the current rate. The Echo-boomers (who used to be called Generation Y) are starting to buy houses; their demand for houses is growing at 5% per year, and will grow at 10% per year soon. My personal opinion is that this housing cycle will be a long one, similar to what we saw after the housing collapse in the mid 1970’s. In the first few years, we will see a catchup in pricing, but after that we believe housing prices will probably go up a couple of percentage points per year. If they implement the rules on mortgages that are being talked about, the housing market will become a lot steadier and more stable, more like the Texas market, where they tightened the downpayment requirement and favor 30-year-fixed mortgages. That will be positive for the housing market and for consumer confidence. There is nothing better for consumers than to have their biggest asset become more valuable every year. Three years ago if you hadn’t already lost your job, you were still afraid you might lose it. Your 401(k) and your house were devaluing. This recovery is more like the late 1970s than the 1990s. People got burned in the mid-70s and it took a long time to feel better. When we are operating at full potential, we should have 3-1/2% to 4% GDP growth, and that will come eventually. ML: I think GDP this year will be 2-1/2% overall because of federal and state problems, but corporate GDP growth will be a good bit better than that, assuming there is a budget deal at some point. The first half of the year if we watch the government argue about spending, it could be a bit of a damper on growth. If we regain faith that the politicians will be able to compromise and come up with some answers, the market will go higher. Having our debt downgraded shook everyone’s confidence. So the market is at 12-13 times earnings as a result. If we get a budget deal we could get much stronger investor confidence, but in the short term, our ability to govern ourselves is the big issue. Once that is resolved, the market will lift. For AH Lisanti: For financial intermediary use only. Not for use with investing public. The information provided should not be considered a recommendation to purchase or sell any particular security. It should not be assumed that any security transactions, holdings, or sectors discussed were or will be profitable, or that the investment recommendations or decisions we make in the future will be profitable or will equal the investment performance discussed herein. The views expressed reflect those of the portfolio manager as of 12/31/2012. The portfolio manager’s views are subject to change at any time based on market and other various conditions. The performance reflected herein is not representative of performance of AH Lisanti individually managed accounts or comingled vehicles that AH Lisanti advises. President Obama has always been a champion of offshore wind energy, as his administration’s comprehensive National Offshore Wind Strategy demonstrates. This month, the fledgling U.S. offshore wind energy industry got a boost with the announcement that the Obama administration would help finance seven offshore wind projects in Maine, New Jersey, Ohio, Oregon, Texas and Virginia. The money, about $4 million initially for each project and $47 million over four years (subject to Congressional approval), will be used to launch these projects by financing the engineering, design and permitting efforts as the initial steps to eventual offshore installations. According to a recent report commissioned by the U.S. Department of Energy, offshore wind is a viable, sustainable, abundant and largely untapped clean energy resource. The report notes that the investment in the offshore wind industry could generate and support up to 200,000 jobs in areas such as construction, manufacturing, operations and supply chain services throughout the country. The report suggests that offshore wind could be as successful at generating jobs and clean energy as the onshore wind energy industry has proven to be. During 2011, 32 percent of the additional electric capacity in the U.S. was generated by land-based wind power. In addition, the wind power industry is generating jobs at home for U.S. companies, based on the fact that 70 percent of the equipment installed at U.S. wind farms – things like wind turbines, gears, blades and generators. Newbury Park, CA-based Sauer Energy (OTC: SENY, http://www.sauerenergy.com/) is a development stage company developing vertical axis wind turbines for commercial and residential uses. 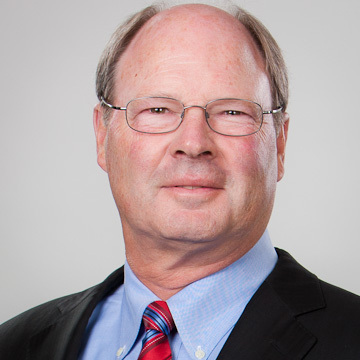 Formerly BCO Hydrocarbon Ltd., the company disposed of its oil and gas interests and in July 2010 purchased Sauer Energy and in May 2012 purchased Helix Wind Corp. Its stock is languishing. In late August SENY was trading at $0.26 with a 52-week trading range of $0.10-$0.95. In late October is was trading at $0.25. It closed Dec. 24 at $0.24, no change for the day. China-based China Ming Yang Wind Power Group (NYSE: MY, http://www.mywind.com.cn/) is a wind turbine manufacturer focused on designing, manufacturing, selling and servicing megawatt-class wind turbines. In July, MY announced it was considering a joint venture with China-based Huaneng Renewables Corp. to develop wind power and solar power projects in China and overseas markets. MY stock is also stuck in a narrow range. It was trading for $1.21 in late August, $1.32 in late October. It closed Dec. 24 at $1.21, down 2 cents for the short trading day. Chatsworth, CA-based Capstone Turbine Co. (Nasdaq: CPST, http://www.capstoneturbine.com/) develops and markets microturbine technologies, including technologies used to provide on-site power generation for wind power. The stock continues to trade very well, about 700,000 shares a day but is stuck around $1.00. On Aug. 23, CPST shares crossed their 50-day moving average and closed the day at $1.05 with 2.8 million shares sold. By late August it was trading at $1.01, by Oct. 31 it had moved down slightly to $0.96. It closed Dec. 24 at $0.91 with a market cap of $278 million. Naperville, IL-based Broadwind Energy (Nasdaq: BWEN, http://www.bwen.com/) announced Aug. 23 that it was reducing its manufacturing footprint and shifting its “capacity and marketing focus to non-wind sectors.” BWEN closed Aug. 27 at $2, Oct. 31 at $2.30 and Dec. 24 at $2.11 with a market cap of $30 million.